The Law Office at Kalsi and Associates is proud to announce that it provides personal injury litigation services related to accidents across Ontario. The office is also offering a FREE consultation for personal injury cases. Many times, victims of an unfortunate incidence have to suffer from gross injustice at the hands of insurance companies who pay them an unfair amount against their claims. In order to avoid such unfair treatment, accident victims should hire a professional team of personal injury lawyers like Kalsi and Associates in Ontario and Upper Toronto. The team at Kalsi and Associates works within the deadlines of personal injury cases. The collect the relevant information of the case and will also take the responsibility of dealing with all the forms needed in the process. Kalsi and Associates ensure that the victim receives a fair compensation in minimum possible time. Kalsi and Associates is a team of legal professional lawyers who handle numerous types of personal injury cases and claims. They practice solely in the area of personal injury and provide their services to clients throughout Ontario. The lawyers, paralegals and other support staff provide quality service while striving to provide quick and fair resolutions. Call Brampton personal injury lawyers, Kalsi & Associates, at 1-844-905-2993. 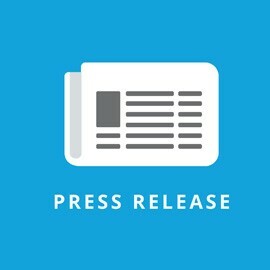 The law office of Kalsi & Associates is proud to announce that they provide personal injury litigation services for people with back injuries caused by accidents across Ontario. For the convenience of their clients, Kalsi & Associates provides free consultation for anypersonal injury case. Being involved in an accident is never easy and, sometimes, the consequences can be even worse than the accident itself. Although they vary in severity, back injuries are one of the most common types of injuries that can happen because of an accident. You can have a back injury if you are involved in a car accident, on a slip and fall accident and even on a work-related accident. The amount of compensation is calculated in relation to the severity of the case. Even though it might be almost impossible to calculate how much someone’s pain is worth, the compensation for a back injury should reimburse the victim from the financial, physical and emotional costs required. With the help of Kalsi & Associates, the victim can focus on getting better while a personal injury lawyer work to make sure that they are compensated. Kalsi & Associates is home to qualified personal injury lawyers and an abundant support staff. The team’s goal is to fight for their client’s personal injury case so that they can not only recover well from the injury, but also live with more quality of life after such hard times. If you ever find yourself as a victim of an accident that has caused a back injury in Brampton, Toronto or Mississauga, do not hesitate to contact Kalsi & Associates at 1-844-905-2993. The law office of Kalsi & Associates in Brampton has an important advice for accident victims: after you are injured in an accident, do not wait to make a personal injury claim. After an accident, hurry up to gather every possible information, because the more you wait, the less are the chances of being fairly compensated for your personal injury. There are many reasons that explain why accident victims fail to collect or provide information after the accident. Some may be in shock, embarrassed, fearing the possibility of the insurance rates rising or fearing to appear litigious, just to name a few. Little to they know that collecting information can definitely protect their rights, even when they decide not to make a personal injury claim. Kalsi & Associates’ personal injury lawyers in Brampton reinforce the importance of collecting photos, witnesses’ information and the identification of all parties involved at the time of the accident, the police reports and any kind of medical records that prove the veracity of your injury. After collecting all of that, you are ready to file a personal injury claim. Without proper legal assistance, there is still a chance you may not be fully compensated for your injury. Luckily, Kalsi & Associates’ personal injury lawyers are always ready to protect their client’s rights, in every particular situation. Contact Kalsi & Associates at 1 (844) 905-2993 to apply for a free consultation in Brampton. The law office of Kalsi & Associates in Brampton recommends that drivers take the road with more safety on the holidays. Since there usually is an increase in the number of vehicles on the road, the possibility of car accidents can also be higher. Therefore, Kalsi & Associates suggests that people to pay extra attention to the roads, avoid drinking before driving, always wear seatbelts and check if their vehicle is in good condition. If unfortunately, you find yourself involved in a car accident, Kalsi & Associates is the law office you can trust. They provide personal injury litigation services for car accidents across Ontario – in Toronto, Mississauga and Brampton -, offering a free consultation for the clients that aim to file a personal injury claim. Brampton’s personal injury lawyers at Kalsi & Associates are fully committed to protectingcar accident victim’s rights. They work to guarantee that the victims are not only fairly compensated for their personal injury but that they can also recover from it and get back to their normal activities. At Kalsi & Associates’ law office, you can find qualified and experienced personal injury lawyers that are ready to take care of your accident. Whether you are injured in a motor vehicle accident, in a slip and fall accident or even if you are denied for long-term or short-term disability benefits, Kalsi & Associates can help. Contact Kalsi & Associates at 1 (844) 905-2993 to apply for a consultation in Brampton. It is difficult to understand what goes through the mind of someone that has been injured in an accident. Not only do they have to get medical help, but also collect information from the at fault party and witnesses, and so on. Some might not even know that they have, indeed, the right to be compensated for their injury and all the costs involved. With Accident Benefits, you can get compensation if you, your passengers or pedestrians are injured or killed due to a motor vehicle accident, no matter who is at fault in the situation. It usually covers medical and rehabilitation services, loss of income due to the fact that the victim is unable to work and overall expenses. In the province of Ontario, when you have automobile insurance, you can get your compensation from the insurer even if you are injured in someone else’s vehicle. When you do not have automobile insurance, you can be compensated from the policy for the vehicle you are in at the time of the accident. Those are only some facts about Accident Benefits, but without the assistance of a team of personal injury lawyers, it is really possible that you will not get a fair amount of compensation for your injury. If you or a loved one is a victim of a motor vehicle accident in Ontario, contact Kalsi & Associates at 1-844-905-2993 for immediate help. Summer is almost coming to an end and, with fall, Halloween is one of the first things that comes to our minds. Although it is a fun time of the year for both children and adults, parents should be warned about the risks of danger and injuries. As a matter of fact, children are more likely to suffer from a motor vehicle accident (and other kinds of accidents as well) on Halloween than at any other time during the year. That mostly happens because they go trick or treating at night when streets are darker. Since this is a big issue that can be avoided, Kalsi & Associates has gathered some tips that will help parents keep their kids safe from any injuries during Halloween. When trick-or-treating, never let your kids walk around the neighborhood without supervision. Even when there is an older child or a teenager leading a group of kids, you should always review their route to make sure that you know exactly where they will be and set a time for them to be back home. You should also advise your kids to never cross the street between cars and to pay extra attention to lights and cars that might appear. If your kid does not have a cellphone, lend them an old one just to answer your calls or to call you if something happens. When the kids are safe at home, do not forget to inspect the candy they were given before allowing them to eat it. Sometimes it could be contaminated. If those tips are not enough to prevent you or a loved one of being injured during Halloween in Ontario, do not hesitate to contact Kalsi & Associates before making a personal injury claim. A free initial consultation with our team of caring personal injury lawyers can be the starting point for you to be rightfully compensated. Nobody expects to be involved in any sort of accident and, when it suddenly happens, some people are not sure about how to proceed. 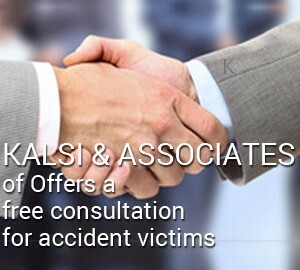 To help those in need, we at Kalsi & Associates Injury Lawyers offer an initial consultation free of charges. Our experienced team of legal professionals can explain everything injury victims need to know, no matter what is the situation. From motor vehicle accident claims and long-term/short-term disability benefits to slip and fall action, Kalsi & Associates is always ready to assist you with any type of personal injury case or insurance claim. Accidents, even when causing only mild injuries, can be life changing events and victims should have their rights protected. The benefits covered under the insurance policy are there so people can focus on getting better, but without the right support, the insurance claim process can quickly slow to an overcomplicated crawl. That is why Kalsi & Associates have the experience to give victims some possibilities of actions as fast as possible. So, if you or a family member is a victim of any kind of accident, do not deal with the physical, emotional, psychological and financial burden alone. Kalsi & Associates have spent years earning a respected reputation for delivering results even throughout Ontario’s most complex and challenging personal injury cases while remaining committed to justice. Do not hesitate to contact us at 1-844-905-2993 to get a free initial consultation. We have a successful track record of protecting the rights of our clients and we will do everything we can to get you the accident benefits you deserve. 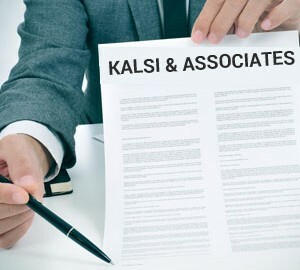 A free initial consultation with Kalsi & Associates can be the beginning of your peace of mind. Besides having to recover from a personal injury caused by an accident, victims can, at many times, be tricked to be less compensated for their injuries by their insurance companies. For that, having a personal injury law firm like Kalsi & Associates by their side is the easiest way to know what are the person’s legal rights and the best way to achieve them. Kalsi & Associates’ team is ready to work with within the deadlines of every personal injury case in Ontario, collecting relevant information to strengthen the victim’s case. The professional personal injury lawyer that will work in the case will also be responsible for dealing with all the forms needed to make the victim’s claim trustable inside the law’s specifications. These are only a few things that make Kalsi & Associates help personal injury victim’s to receive fair compensation in the shortest possible time. Bring your case to Kalsi & Associates’ personal injury lawyers in Ontario by contacting at 1 (844) 905-2993 or apply for a consultation online. The law office of Kalsi & Associates are proud to announce that they provide personal injury litigation services for motor vehicle accidents across Ontario and offer a free consultation for your personal injury case. Motor vehicle accidents are life changing events. Even mild injuries can put a strain on you and/or your family financially, emotionally and psychologically. Accidents benefits covered under your insurance policy are there so you can focus on getting better. Kalsi & Associates have the experience to get you the accident benefits you deserve. If a motor vehicle accident has affected you, Kalsi & Associates can help you get the benefits you need to live your life. Their expert team of personal injury lawyers have won many short and long-term disability claims for their clients. If you or a family member is a victim of a motor vehicle accident,slip and fall accident or if your long-term or short-term disability benefits have been denied, do not hesitate to contact Kalsi & Associates at 1-844-905-2993. The law office of Kalsi & Associates are proud to announce that they provide services across Ontario and are ready to provide a free consultation regarding your personal injury case. Kalsi & Associates is a personal injury law firm specializing in personal injury litigation for motor vehicle accidents and slip and fall accidents. They have the knowledge and experience to get you the benefits you deserve and recover long-term and short-term disability benefits. Motor vehicle accidents and slip and fall accidents can happen to anyone. It is important to have someone on your side when dealing with insurance companies. Kalsi & Associates’ team of personal injury lawyers and staff know how to work with insurance companies to get you the benefits you deserve.